Ships tomorrow if you order in the next 19 hours 31 minutes. 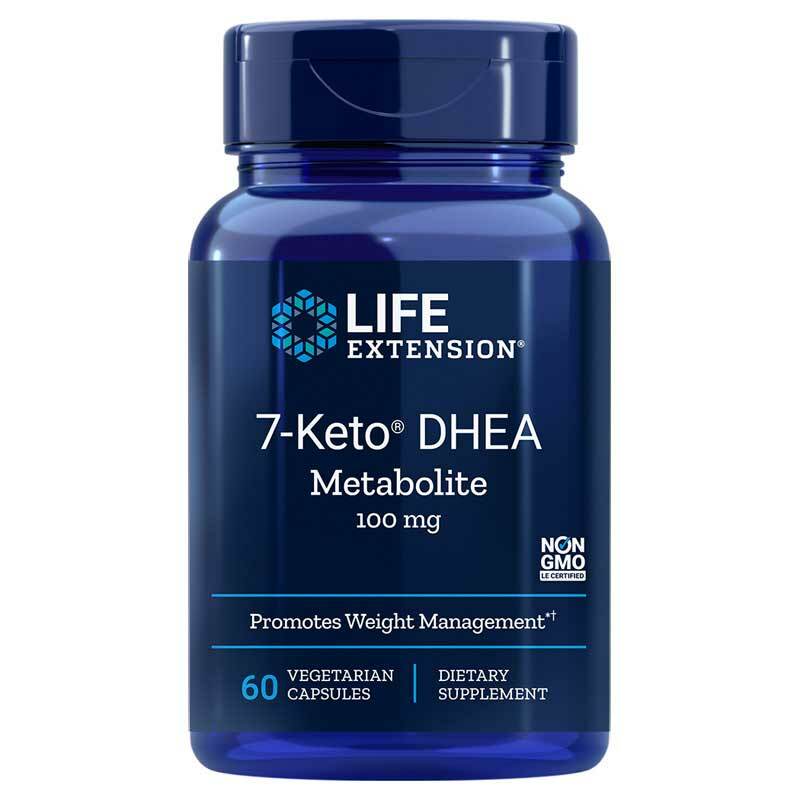 7-Keto DHEA Metabolite by Life Extension is a natural weight loss supplement that has been shown to provide support for fat loss benefits. Antioxidants are added based on the effect 7-Keto has in boosting mitochondrial oxidation. 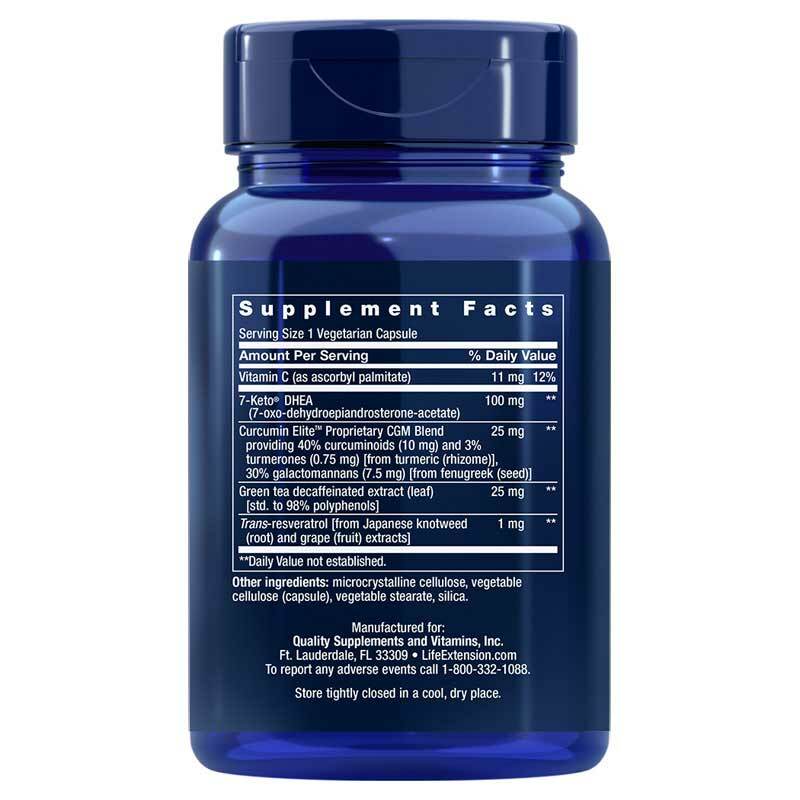 This supplement should be taken in conjunction with a healthy diet and regular exercise program. Results may vary. 17. Curr Ther Res. 2000;61(7):435-42. 18. Arch Biochem Biophys. 1997 May 1;341(1):122-8. 20. J Nutr Biochem. 2007 Sep;18(9):629-34. Other Ingredients: : rice flour, vegetable cellulose (capsule), vegetable stearate. Contains rice. 7-Keto is a registered trademark of Humanetics Corp. Adults: Take one capsule upon waking and one capsule before midday meal, preferably on an empty stomach, or as recommended by a healthcare practitioner. Not for use by individuals under the age of 18 years. Do NOT use if pregnant or nursing. Consult a physician or licensed qualified healthcare professional before using this product if you have, or have a family history of breast cancer, prostate cancer, prostate enlargement, heart disease, low "good" cholesterol (HDL) or, if you are using other dietary supplement, prescription drug, or over-the-counter drug. Do not exceed recommended serving. Keep out of the reach of children.